The Book Thief, Shantaram, The Boy in the Striped Pyjamas, The Anniversary Man—I read a variety of books across a range of genres in 2010. But which of them made it into my second annual Top 3 Books of the year? Note: Any book I read during the year, regardless of the date of publication, can (and does) feature on the list. Cynthia Bigge wakes up one morning to find her whole family—mother, father and brother—have disappeared. So begins Canadian Linwood Barclay’s thriller—an engrossing, easy read that moves along at a great pace. 25 years have passed by and Cynthia is still none the wiser as to what became of her family. Then the jigsaw pieces begin falling into place, leading Cynthia and her husband, Terry, on a thrilling quest to solve the mystery. If you like Harlen Coben, give Linwood Barclay a try. An enjoyable page-turner and the best crime fiction I read in 2010. 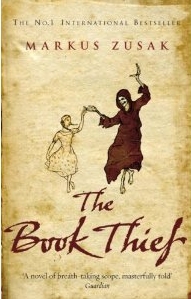 The Book Thief will be familiar to many readers—it was the best selling debut literary novel of the year in 2007 (according to Amazon.co.uk). It’s an unusual book (narrated by “Death”) that tells the story of a young girl, Liesel, who is fostered by a couple in Nazi Germany after her parents are sent to a concentration camp and her bother tragically dies. The newly discovered world of literature soon offers Liesel a way to forget her problems, and she begins stealing books whenever the opportunities arise. Meanwhile she makes new friendships, most notably with her new foster parents, a boy called Rudy and a Jew hiding in the basement of her house. Life continues around Liesel despite the feeling—for the reader at least—that tragedy is but a moment away at any given time. The Book Thief’s biggest strengths—and there are many—is undoubtedly the characters. Zusak makes you care about the believable and likeable characters he has created, and the book manages to tug at your heart strings on a number of occasions. Thoroughly recommended and—in my view—a superior read to the similarly-themed The Boy in the Striped Pyjamas. I reviewed this book back in July and raved about it on a number of levels—from its observational humour and raw honesty to its veiled intelligence and laugh-out-loud moments. But this book is my top read of 2010 due to its downright addictiveness and entertainment value. True, The Average American Male isn’t the longest of novels (256 pages), but I simply could not put it down when I began reading. A lot of highbrow literature—the merits of which are plentiful—simply cannot entertain in the same way that Kultgen does with this contemporary piece of fiction. And while The Average American Male won’t be for everyone (for a start, it’s sexually explicit and very crude) it’s a book that many will relish and reread in the future. I recommended it to a work colleague recently, he subsequently bought it, and he hasn’t stopped raving about it since. Read my full review and then make up your own mind. 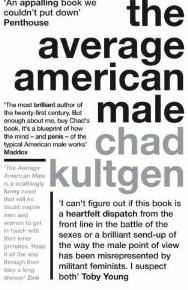 The Average American Male—best read of 2010! Overall, 2010 was somewhat disappointing in terms of my book choices. Shantaram (Gregory David Roberts) nearly lost itself in philosophical babble (keeping it out of my top 3), and The Anniversary Man (RJ Ellory) was a solid read that paled in comparison to my favourite book of 2008 by the same author (A Quiet Belief in Angels). I read several biographies and memoirs—most of which were good, but none heralded classic status (like 2009’s Hitman). 2011 will hopefully yield some enjoyable reads. I’m particularly looking forward to The Angel’s Game (by Carlos Ruiz Zafón) as well as new books from old favourites such as Jeffrey Deaver, and books I didn’t get to in 2010, including Lord of the Flies. Until next year, over and out. Have a great Christmas. Purchase my comedy memoir Lord of the Rams: The Greatest Story Never Told (with free worldwide post and packaging). Now only €10! With the World Cup almost upon us, there’s no better time to revisit the madness of Saipan via Conor O’Callaghan’s Red Mist: Roy Keane and the Irish World Cup Blues – a Fan’s Story . And if that only serves to remind you that Ireland isn’t in this year’s competition, cheer yourself up by picking up David Thorne’s The Internet is a Playground . It was Ireland’s 9/11. Nobody died, but the entire country was in mourning. Roy Keane sent home from the 2002 World Cup, and a nation up in arms over who was to blame for the catastrophe – Keane or the Ireland manager Mick McCarthy. Connor O’Callaghan provides an account of the Saipan saga whilst interweaving stories from his own life during the tumultuous events. Red Mist: Roy Keane and the Irish World Cup Blues – a Fan’s Story is a solid read and serves as a great reminder of just how divisive the Keane/McCarthy debate was. Neighbours and families throughout the country became embroiled in the argument, and some even stopped speaking to each other completely as they took sides and held firmly on their convictions. In fact the most entertaining parts of Red Mist centre on the effects of the debacle on O’Callaghan, his son and the community. The telling of the Saipan story itself doesn’t offer anything new. It would have been great if O’Callaghan interviewed some of the Irish players under a veil of anonymity. Did Keane really call McCarthy an “English c**t” ? O’Callaghan quotes the newspaper reports aplenty, but it would have been great if he had spoken to a number of people who were actually there. Also, the numerous side-stories at times take from the telling of the Saipan incident itself. Furthermore, O’Callaghan writes in the present tense and constantly refers to dates in the book as “last Friday” and similar. That would be fine if Red Mist was written in a diary format and the reader could easily keep track of the days/dates to which he is referring. But O’Callaghan often moves the action on a few days or weeks and then again refers to “last Thursday” or “last Friday”, making it difficult for the reader to know on what dates things actually happened. As a retelling of the Saipan saga, Red Mist isn’t entirely successful. But then again, that doesn’t seem to be O’Callaghan’s primary objective. As a memoir based on the months after Saipan, and as a case study of how it affected the ordinary man on the street, Red Mist is a triumphant success. Worth a read! If you’ve never visited David Thorne’s website 27b/6, don’t go there just yet. Buy The Internet is a Playground , and then visit the site once you’ve consumed every page of this hilarious book. The Internet is a Playground comprises “the complete collection of articles and emails” from Thorne’s infamous site. So there’s little here that you can’t already get for free on the website, but Thorne’s material really does deserve a place on your coffee table. Thorne shot to fame in late 2008 when he tried to settle a bill with a drawing of a spider. The resulting email correspondences were posted on his website, and word quickly spread around the internet. The book consists of the spider piece along with a number of similar—and no less hilarious—emails. Thorne invites himself to his neighbour’s party, turns the tables on a strict teacher and weasels his way out of paying a late fee for some rented DVDs. But summarising these emails could never do them justice. You just have to read them yourself. Read one and I guarantee you will be hooked. Unfortunately, the “articles”, which feature on Thorne’s website and form a large part of the book (much more so than the emails), aren’t anywhere near as funny or engaging as the emails. Many of these articles see Thorne writing in the name of people he knows—such as colleagues—and essentially parodying them to the utmost of his ingenious abilities. These articles have their moments, but generally I found myself racing through them in order to get to the next email piece. Make no mistake about it, the emails featured in this book are comedy masterpieces. Like hidden camera TV shows, half the fun is seeing how people react to Thorne’s absurd emails. And Thorne never fails to reply to each email with clever arguments, witty observations and downright off-the-wall logorrhea . If you like the writing of Maddox, then you’ll love The Internet is a Playground . As Christmas and year-end—indeed the end of the decade—fast approaches, I’ve decided to pick my three favourite books of 2009 and look ahead to what’s on my reading list for 2010. No Time for Work recounts the misadventures of George and his best friend Cecil Chuckleworth—two alcoholic teachers who are almost allergic to an honest day’s work and will try just about anything in order to prevent themselves from inadvertently doing what is expected from them by their superiors. Headmasters and school inspectors suffer horribly at the hands of the sharp-tongued Ryan and Chuckleworth, as do stuck-up members of the local golf club and numerous other characters who encounter the devious pair. The fact that this self-published book has sold so many copies over the years (see my full review at http://lordoftherams.com/blog/?p=45) says a lot about its undeniable charm. Although one could argue that No Time For Work lacks a discernible plot and is constructed in an “unconventional” manner (similarities with my own book have not gone unnoticed by yours truly), I enjoyed this title from start to finish. Perhaps not suited to “serious readers” but I think anyone looking for a light-hearted laugh, will enjoy George Ryan’s novel. Hitman charts the life of one of wrestling’s biggest stars, Bret Hart. During a career that spanned almost a quarter of a century, he became one of Canada’s most famous sons, toured the world, and endured tragic events that unfolded in front of the world’s media. Quite simply, this is the most riveting autobiography I have ever read. I must admit that the wrestling autobiography sub-genre is amongst my favourites (what goes on behind the scenes in professional wrestling is infinitely more entertaining than the show that airs on TV) , but I do occasionally read other autobiographies and travel memoirs, more recently books by Bill Bryson, Steve Martin and Slash (Guns N’ Roses). None of those books, nor the ones that have gone before, came close to painting such a vivid, heart-warming, tragic and entertaining true-life tale as Bret Hart’s Hitman (see my full review at http://lordoftherams.com/blog/?p=17). Set in post-Spanish Civil War Barcelona, The Shadow of the Wind concerns a young boy, Daniel whose father takes him to the secret Cemetery of Forgotten Books, a huge library of rare, forgotten titles. After bringing home a book called The Shadow of the Wind, Daniel becomes caught up in an intriguing adventure when he sets out to find out more information about the book’s author Julián Carax. This is the only book on this list that I haven’t already reviewed on my blog. Words can’t really do justice to what a remarkably enchanting and engrossing tale this is. Described by Entertainment Weekly as “a love letter to literature”, The Shadow of the Wind is that and so much more. Not just my favourite book of 2009 but the new benchmark that other titles will be measured against. By coincidence, my favourite reads of 2008 (A Quiet Belief in Angels by RJ Ellory) and 2009 (The Shadow of the Wind by Carlos Ruiz Zafón) were both featured in the Richard and Judy Book Club—in 2008 and 2005 respectively. I’m not sure what that says about the quality of the books featured in the club over the years, but I for one am glad I have another couple of selected Richard and Judy titles sitting on my ‘to-read’ pile for 2010—namely No Time for Goodbye (Linwood Barclay) and A Thousand Splendid Suns (Khaled Hosseini). I’m currently reading the Booker Prize shortlisted and Costa Award winning The Secret Scripture by Irish author Sebastian Barry. The book (of which I have read over two-thirds thus far) is a beautifully written tale (albeit with heavy prose that may turn off the casual reader) charting the life of Roseanne McNulty, a 100-year old inmate at Roscommon Regional Mental Hospital. Told via ‘diary’ entries by both Roseanne and her Psychiatrist, Dr Grene, The Secret Scripture is a gripping read that that keeps the reader guessing as to what led up to Roseanne’s 50-year incarceration. Another Booker Prize shortlisted title, The Reluctant Fundamentalist take place during the course of a single evening in an outdoor Lahore cafe, where a bearded Pakistani man called Changez tells a nervous American stranger about his love affair with, and eventual abandonment of, America. Short (you will finish it in one or two sittings), riveting and beautifully told, The Reluctant Fundamentalist is a really enjoyable read although I did feel a little short-changed by the ending (conversely, I think many others found the ending satisfying). Highly recommended. If you’ve read any of the books above, feel free to share your views. My reading list for 2010 is already full with diverse and promising titles ranging from Spike Milligan’s Pukoon and William Golding’s classic Lord of the Flies to The Book Thief by Markus Zusak and Hulk Hogan’s new autobiography, My Life Outside the Ring. One Red Paperclip has a fantastic premise. It follows the journey of a Canadian, Kyle MacDonald, who barters his way from a single red paperclip to a house in the space of just one year. The book charts Kyle’s entire journey—from placing the initial advert online and making his first trade, to reaching his ultimate goal by attaining a two-story farmhouse in Kipling, Saskatchewan. Kyle sets out to trade each item for something bigger or better, but his initial success is only made possible by the generosity of those with whom he arranges to make a trade. One of the early trades, for example, sees Kyle swap a pretty worthless doorknob for a fully functional portable stove, and this sets him up nicely for the next swap. And so it continues. Furthermore, MacDonald manages to irritate the reader with his words of wisdom that conclude each chapter. It’s patronising and hard to take serious from a guy who brings his parents with him on just about every trade and lets his mammy cut his hair. I’m all for close family relations, but parts of the book read like a script from The Brady Bunch. Despite its glaring flaws, One Red Paperclip’s premise is strong enough to keep you turning the pages until the end. It’s an accessible, easy read that is testament to the power of the internet in helping one man realise his dream. Given my interest in the “comedy memoir” genre, it may surprise you to know that I’ve read only a few books that loosely fit within this genre. Fortunately, I’ve read two recently in quick succession! The first, My Godawful Life, is strictly a work of fiction but it is written as an unintentional comedy memoir as it were. With My Godawful Life, English author Michael Kelly, writing as Sunny McCreary, has produced possibly the most politically incorrect book you’re ever likely to read—a good thing as far as I’m concerned. Surely there’s more than enough books in the shops from people who had a “run-in” with a priest in their youth. Kelly definitely thinks so. Written as a parody of the misery-lit genre, My Godawful Life pokes fun at these books in ways that will shock those of a delicate disposition. The main character gets buggered by nuns in Ireland (the stereotypically “so it will, so it will, at all at all” Irish vernacular is particularly funny), gets pimped out to truckers, has nails driven into his skull by his step-father and gets a baboon’s arse grafted onto his face—and that’s just the beginning of his troubles. Although there are some very funny moments throughout the book, the jokes come perhaps too thick and fast, arguably at the expense of the plot/structure, and I found myself stumbling towards the finish line in my efforts to reach the end of the book. Having said that, Kelly’s willingness to make light of tragic events is—in these times of political-correctness overload—brave and refreshing. Every reader will have a particular section of the book that, in particular, resonates with them. My favourite, apart from the aforementioned Irish nuns, is the Nigerian character near the beginning of the book, whose language will be more than familiar to anyone who has ever received spam emails requesting help transferring large sums of money—this character’s appearance is but a fleeting one and had me longing for more. My Godawful Life is shameless, funny and refreshing, but its bad points, for me, take a lot of the sheen away. Recommended to anyone looking for something a bit different—it certainly is that! The second “comedy memoir”, No Time for Work, is something of an enigma. I happened upon this book purely by chance in a shop on the outskirts of Drogheda some weeks ago. On picking it up, I noticed that it appeared to be self-published and asked the shop-keeper if it was written by a local author, but he had no idea. Anyway, with several of the review quotes on the cover stating how funny the book is, I bought a copy and got stuck into it shortly thereafter. 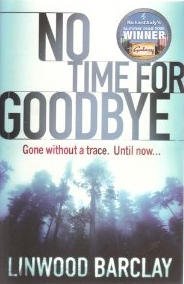 No Time for Work, by Irish man George Ryan, was first published in 1979. Described as “a humorous novel”, my brief online research suggests that all the stories in it actually happened to George or one of his colleagues (see http://www.kennys.ie/News/DessysDiary/072004-TimeForALaugh/). Apparently the book was a huge seller in Ireland when initially released and, although there is little information online about the book or author (other than the Kennys article above), it’s a delightful read, which had me hooked from start to finish. No Time for Work recounts the misadventures of George and his best friend Cecil Chuckleworth— two alcoholic teachers who are almost allergic to an honest day’s work and will try just about anything in order to prevent themselves from inadvertently doing what is expected from them by their superiors. Headmasters and school inspectors suffer horribly at the hands of the sharp-tongued Ryan and Chuckleworth, as do stuck-up members of the local golf club and numerous other characters who encounter the devious pair. There are some memorable moments throughout the book—the lads’ summer spent working in London, their adventures on a golf course, their attempts to give up the drink—all moments that will no doubt still resonate with a broad audience all these years later. The book is not without its faults. Given that it has been republished a number of times in the past 30 years, one would expect typographical and grammatical errors, of which there are quite a few, to have been eliminated by now. The “coffin” episode recounted towards the end of the book detracts from the realism of the overall story and borders on the farcical whilst really not adding much to the story. Overall, No Time for Work is an enjoyable read. There are some touching moments and moral messages interwoven with the humour and, when I reached the end, I found myself wanting to read more—a sure sign of a decent, addictive read.